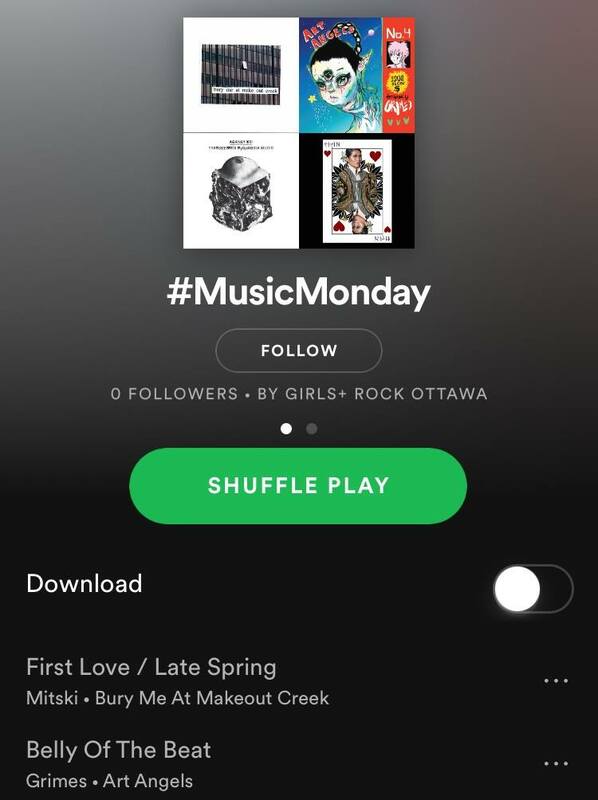 Girls+ Rock Ottawa is now on Spotify! We'll be putting together playlists full of amazing women and femme artists for you to enjoy and discover! To kick things off, here is a playlist to make your Mondays a bit easier. We'll be updating it weekly as we put out more #MusicMonday posts, and making new playlists! Give us a follow on Spotify if you don't want to miss out! Is there an artist you'd like to see featured on #MusicMonday? Let us know!